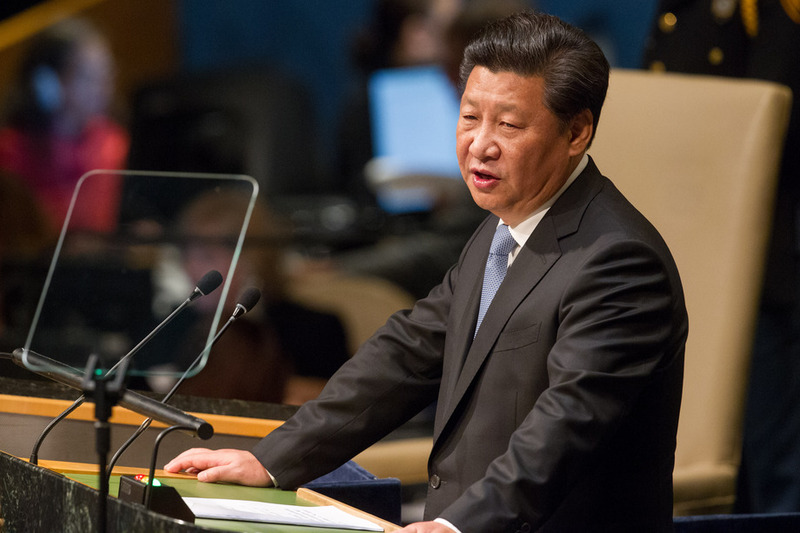 XI JINPING, President of China, said that only by looking in the mirror of history could the world avoid future conflict. The past could not be changed, but the future could be shaped. “We aim to create a better future and pass the torch of peace from generation to generation,” he said. The world had reached a turning point. The movement towards a multipolar world and emerging markets in developing countries had become an irresistible force of history, and globalization and increased connectivity had created unprecedented opportunity. He said that commitment to the Charter must be renewed and new commitments made for win-win cooperation to achieve the goals of mankind. As the sovereign equality of States underpinned the Charter, new partnerships must be forged in which all were equal, with equal respect for the social and economic development of all countries. The notion that one’s gains were another’s loss should be rejected. He called for a new form of international relations, one that sought partnerships rather than alliances. Big countries should treat small countries as equals, and justice should be put before interests. In the age of economic globalization, the security of all countries was interrelated; none could protect its security alone and none could find stability at the expense of another’s. “We must abandon the cold war mentality,” he said, urging a holistic approach to both conventional and unconventional security threats. Global prosperity could not be built on the shaky foundation of a market without restraints, he went on. With close to 800 million people still living in extreme poverty, nearly 6 million children dying before the age of 5 and 60 million unable to attend school, the new Development Agenda must be turned into action. Further, inter-civilization exchanges should be increased. The history of mankind was the history of exchange between civilizations and integration, learning from each other for the benefit of all. Nature must be put first and industrial development reconciled with nature to achieve sustainable development. All economies should build on a sound global eco-environment, and green, low-carbon circular sustainable development should be pursued. Stating that China would do so, he urged developed countries to honour their commitments and help developing countries to mitigate climate change. The dreams of China’s more than 1.3 billion people were connected to those of other peoples’ of the world. In turn, those dreams could not be fulfilled without the help and support of others. No matter how the international landscape evolved, or how strong China might become, it would never pursue hegemony or spheres of influence. Rather, it would pursue development and the win-win strategy of opening up. He welcomed other countries aboard China’s express train of development. Additionally, China, having been the first to sign the Charter, would continue to uphold it. It would support a greater voice for developing countries, particularly African countries, in global governance. It also would establish a 10-year, $1 billion China Peace Development Fund for the United Nations, and it would join the new United Nations peacekeeping system, establishing an 8,000-troop stand-by peacekeeping force to be at the ready and providing $100 million to the African Union to establish its own stand-by force. “Let us establish a new win-win partnership for all mankind. Let prosperity, fairness and justice spread across the world,” he said. In response to a statement made by the Philippine delegation, the representative of China said that the Philippines’ illegal invasion was the root cause of the island dispute in the South China Sea. He rejected the unilateral initiation of the arbitration process. The issue should be resolved through direct negotiations based on history and international law. Also speaking again, the representative of China reiterated that illegal invasion of China’s territory by the Philippines was the root causes of the dispute and his country would not change its position of non-acceptance and non-participation.